Trophy Nubian Ibex are a realatively small bodied ibex from the Midddle East and Egypt. Despite their small body size they have among the longest horns in the ibex world. 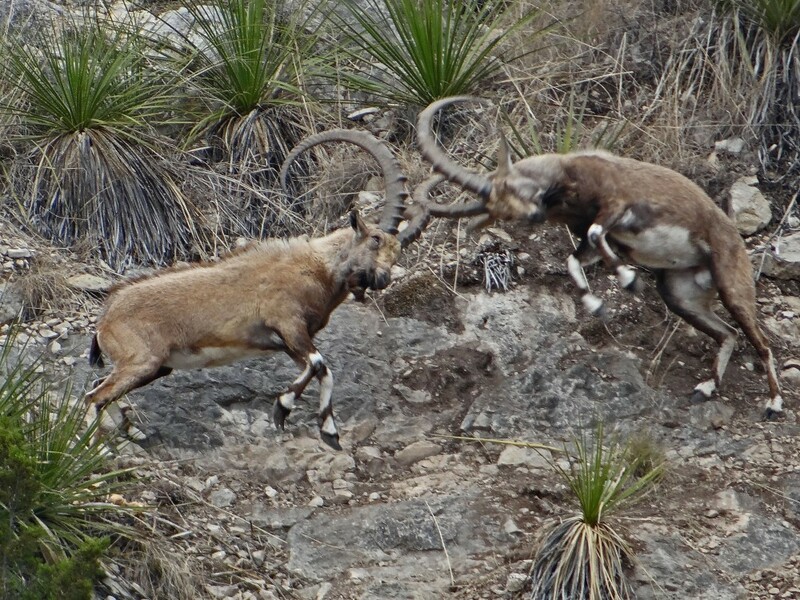 In Texas, it is very difficult to find pure ibex since they cross so readily with all of the goat species. At Star S Ranch, we take great care in maintaining complete pure herds. 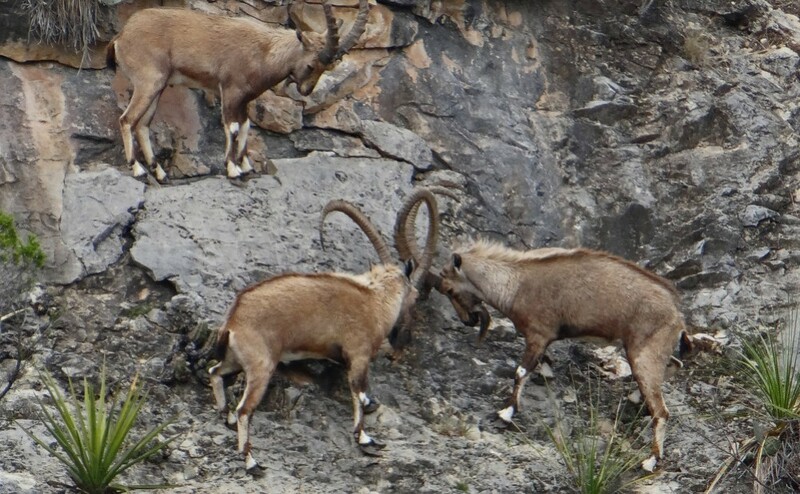 Like all ibex, Nubian Ibex prefer rocks and steep cliffs for safety. Most of the year you will spot as many as 20 billies playing and fighting on the bluffs overlooking the James River. We will hunt our first trophy in 2015. As is our mission, we have patiently waited for our herd to mature to take only the biggest billies with a goal of only taking trophies in excess of 40”. 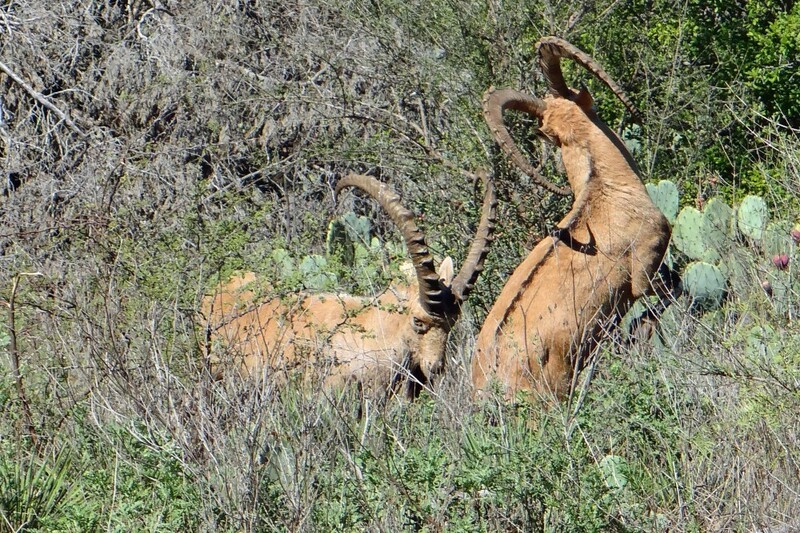 Apparently our Nubian Ibex have adapted very well to the wild and have exceeded expectations for horn growth. Our hunting styles vary as to method of take and time of year. Most of our guides are not only experienced hunting locally, but have international hunting experience as well. 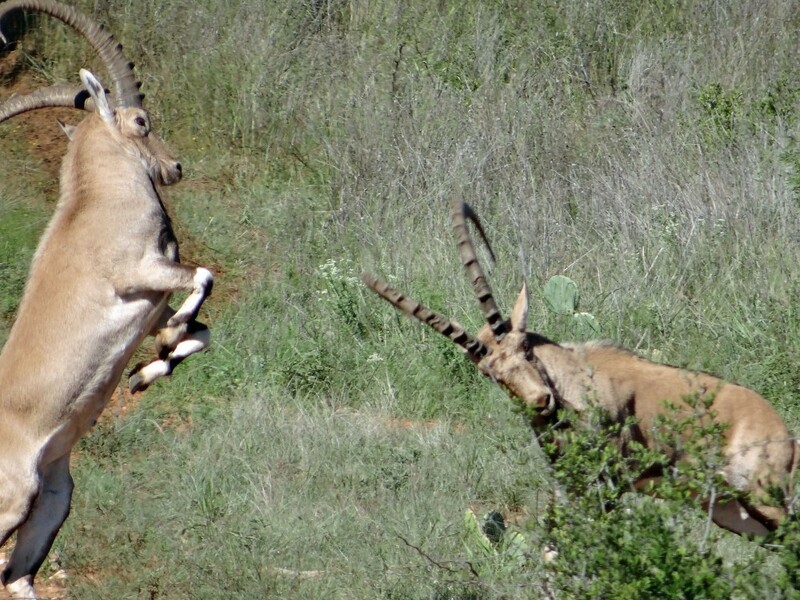 We primarily hunt safari style, glassing hill sides and valleys. When they are deep in the brush, we will stalk ridges and glass. For bow hunters, it is usually a matter of sitting and patience. We limit our hunting, only taking a few mature bulls per year. We are not going to hunt a billies until he has reached his maximum size. Because of our management and breeding success, Star S Ranch has record class trophy hunting.